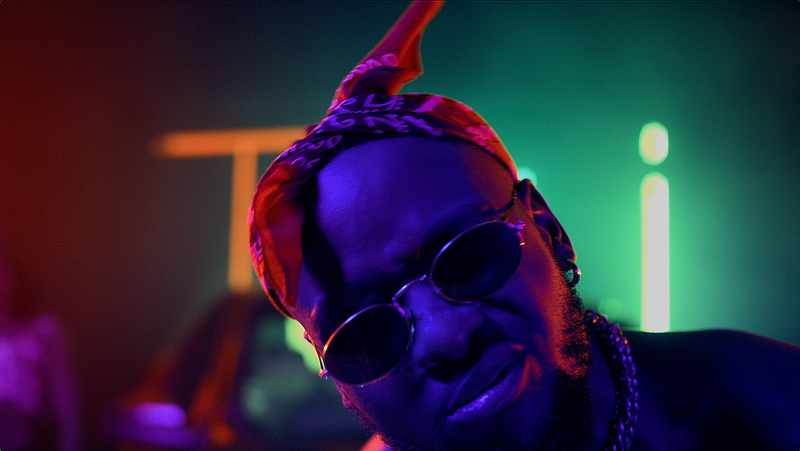 Produced by Geobek Films and directed by Marty Bleazard, the music video for Laylizzy’s single, ‘Txi’ (pronounced ‘chee’) is officially out. With the track having much of an upbeat vibe and tempo to it, the visuals of ‘Txi’ are fast paced with quite a lot of punches along the story line. The new visuals live up to the lyrical content as the opening sequence begins with kids who portray a very street wise image, rocking stunners and gold chains. This play is said to reference back to the music, “If I’m a bad example for the kids, don’t watch me, watch TV.” We proceed to see Young Nino (that being Laylizzy’s alias) excitingly flashing money notes in the air while incredible female, hip hop dancers drop some groundbreaking moves on the dance floor. Spotted a couple of times in the video is rapper, Stilo Magolide who happens to be Laylizzy’s homeboy, which could be hinting at a possible collaboration.